Some make the mistake of describing their bedroom as "where the magic happens," but everyone knows it's actually the kitchen. Duh — because that's where the FOOD is. A huge part of cooking delicious meals is rooted in having the right resources on hand, so we've taken the liberty of rounding up Amazon's top-rated kitchen appliances. Apologies to your credit card. 1. 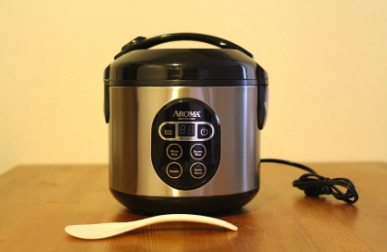 An affordable rice cooker, so you can prepare up to 8 cups of any type of rice with just the click of a button. 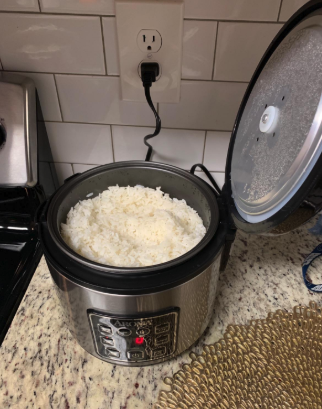 I have this exact rice cooker and I could not be happier with it. My husband insisted we buy it to make our lives a little easier when trying to make healthy meals during the week. It does all the work for you so you can prep the rest of your meal while your rice cooks — it's fantastic. I mean, over 6K Amazon customers have taken the time to give it a five-star review! 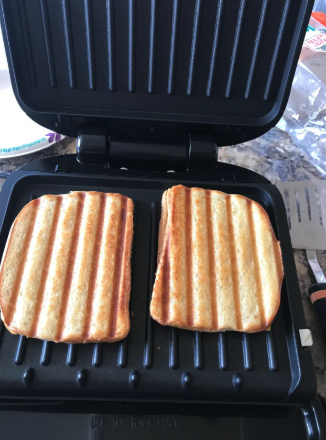 So, I'm not alone in my obsession with this lil' appliance. 2. 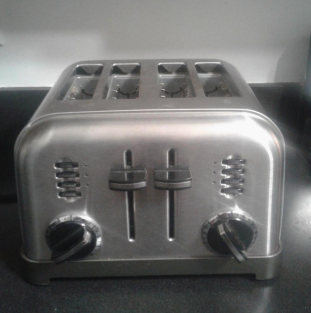 A classic toaster that will give you the opportunity to shout, "LET'S GET THIS BREAD!" right before your bagel pops out. There's something so ~Sunday morning~ about waiting for your toast to announce it's ready to eat by popping up from a classic toaster, don't you think? 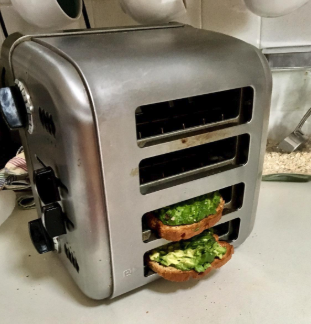 This version has a dual control panels, essentially making it two toasters in one! 3. 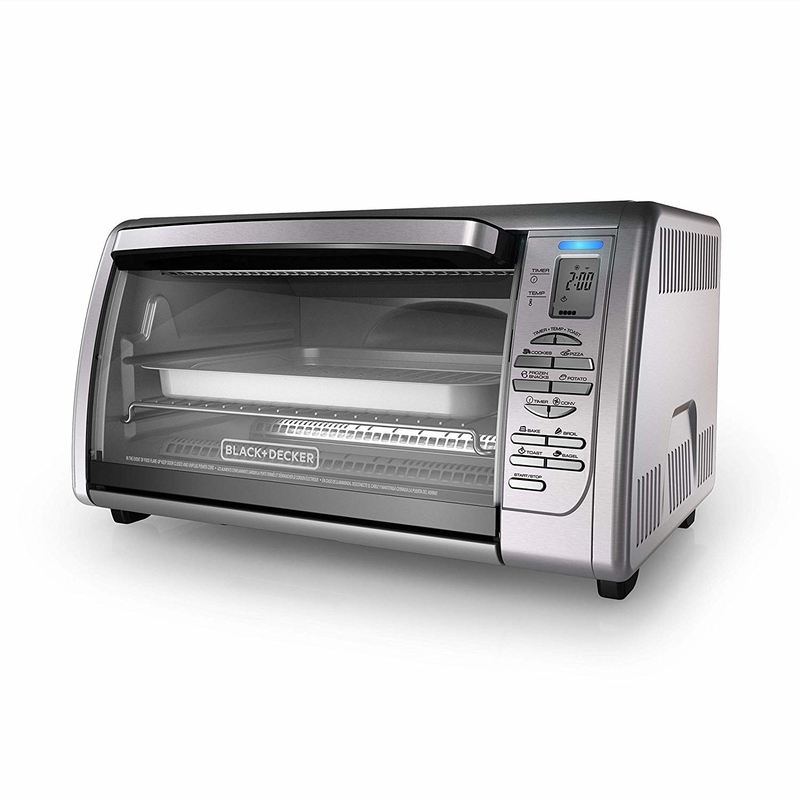 Or a convection toaster oven, perfect for (obviously) toasting things but also for baking single-serve meals. Sorry, regular oven, we're on a break. Shocker: You don't necessarily need to turn on your massive oven to bake every meal. Whether you're reheating some frozen leftovers or you need to toast up to six slices of bread, this convection over has got your hungry back. 4. An electric food chopper, a must-have if your knife skills are so-so and you'd rather not cut off a finger this year. Facts: During my childhood my mom used to accidentally slice open her hand/finger/etc. while prepping the majority of our meals. 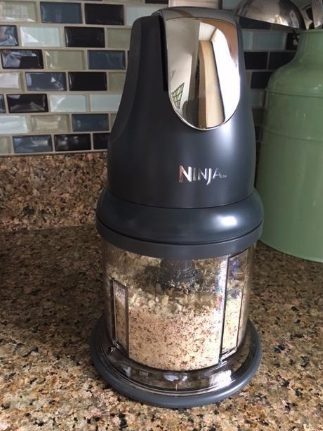 If you're like her, get yourself one of these Ninja Food Choppers stat. 5. 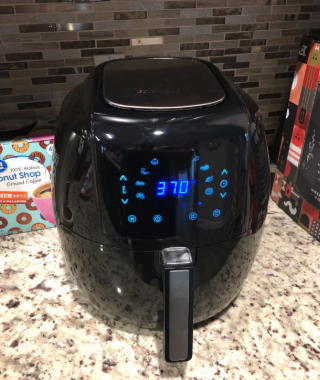 An air fryer that's all the rage right now, perfect for anyone with limited time who wants to cook healthier meals faster. It's all my mom can talk about (that and the fact my chef of a dad feels they absolutely do not need one). 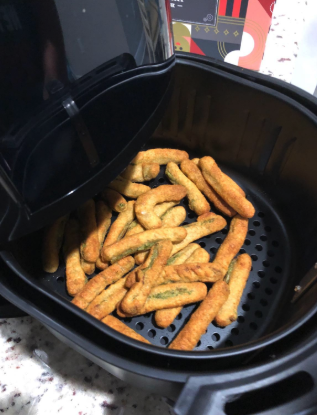 If you're not familiar with this product, all you need to know is that it can bake, grill, fry, and roast meals up to 30% faster, and with a fraction of the oil you'd otherwise use. Pretty freakin' incredible. Any lazy chef needs one of these in their kitchen. 6. 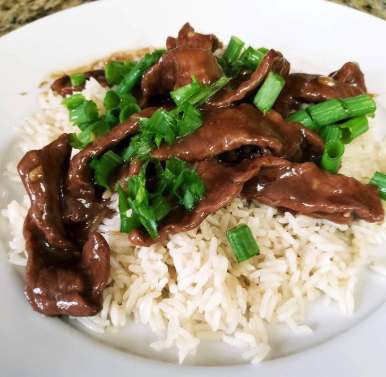 An Instant Pot with so many uses you'll need to take a deep breath before deciding what you should make with it first. Instant Pots are having a MAJOR moment these days, so it's time to jump on the bandwagon and get your own if you don't have one already! 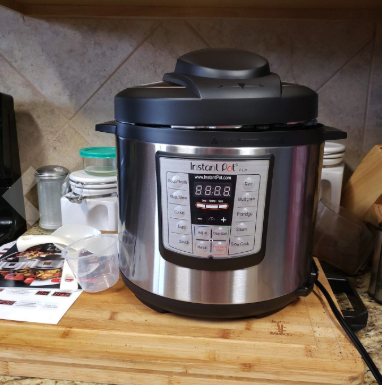 This bad boy is a pressure cooker, slow cooker, rice cooker, steamer, and food warmer, plus it can sauté. I don't really think further explanation is necessary. Read our full review of it here. 7. 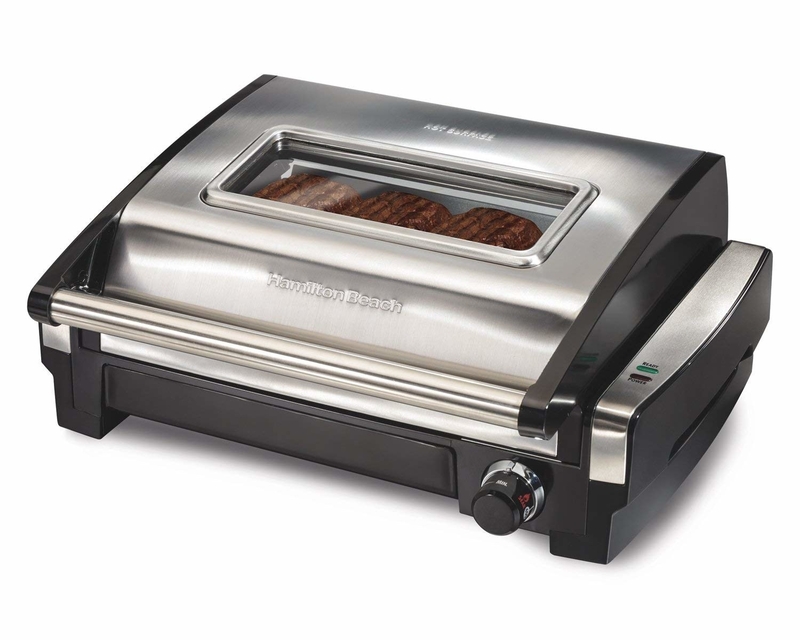 An electric indoor grill, so you can make mouthwatering burgers all year long regardless of whether it's 20 or 90 degrees outside. Using this lil' grill is so simple a monkey could probably do it. Throw your meat on, close the top, and BOOM — dinner is served. It even has a viewing window so you can make sure your food isn't burning. 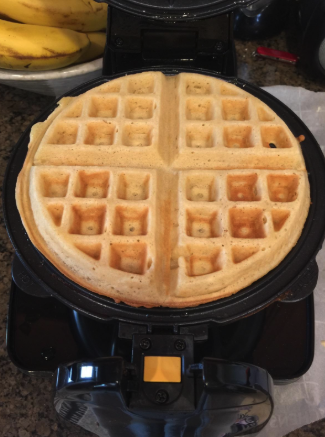 As the great Leslie Knope once said, "We need to remember what's important in life: friends, waffles, work. Or waffles, friends, work. Doesn't matter, but work is third." 9. 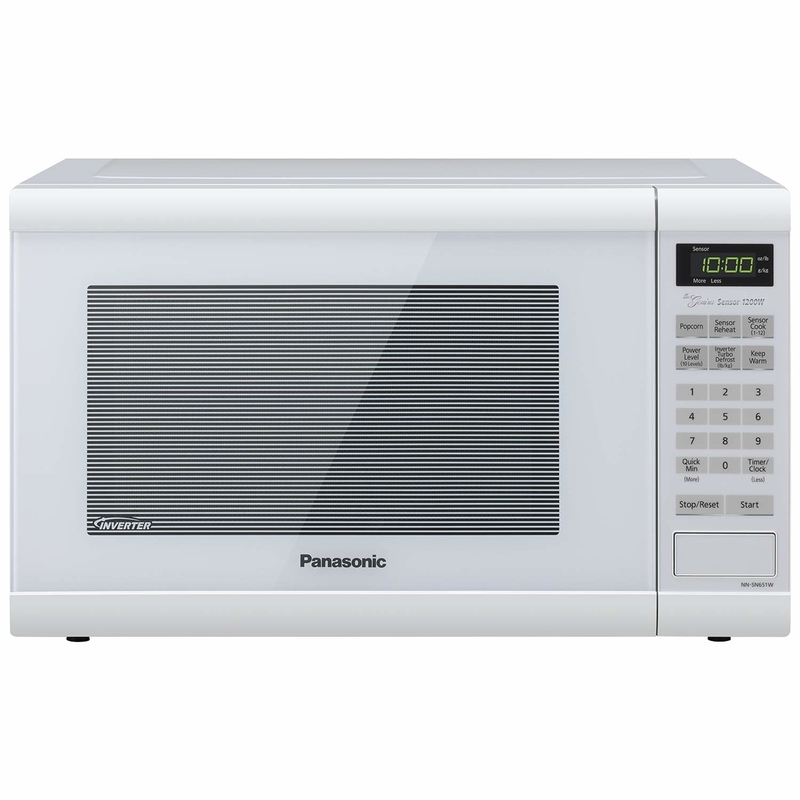 A high-quality microwave with "inverter technology," so you can heat up your leftovers in record timing and not miss a second of The Bachelor. 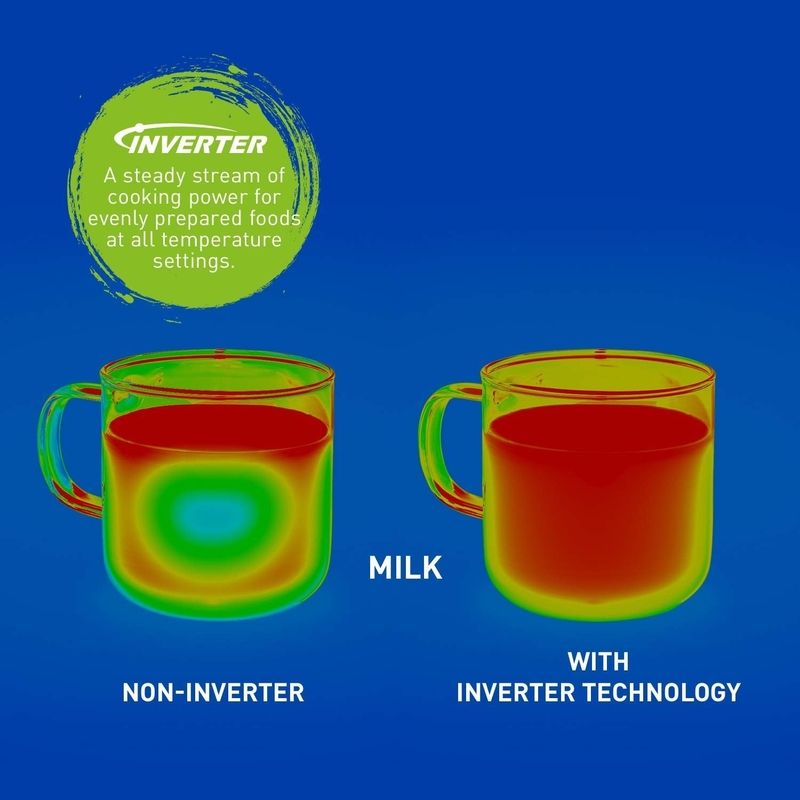 This Panasonic microwave comes with "inverter technology" that assures it will evenly heat your food without overcooking. It also boasts a compact design, so it won't hog up precious counter space. 10. 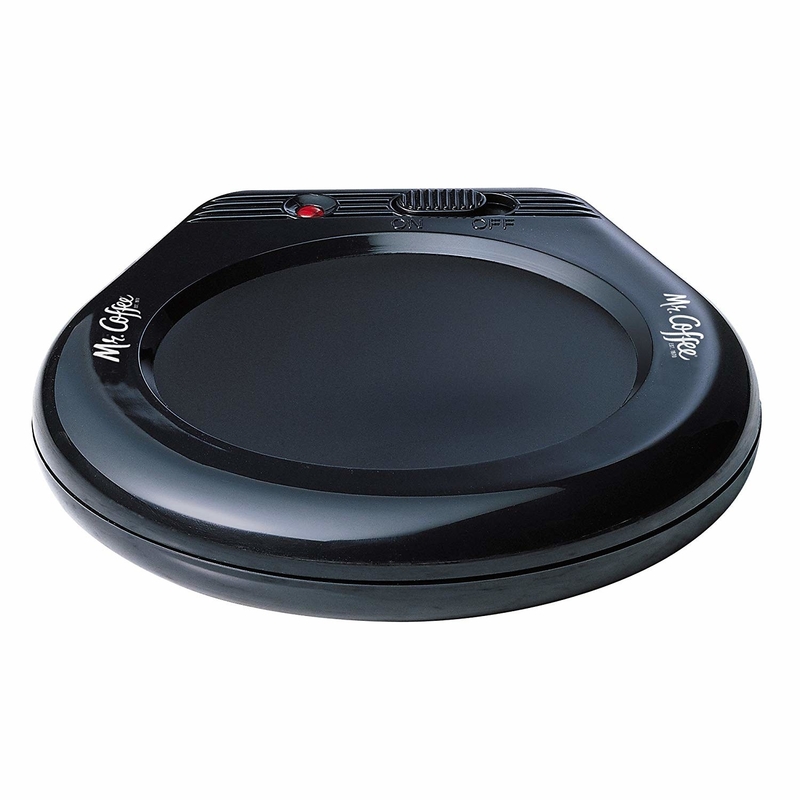 A rapid egg cooker that will make your breakfast faster then you can say, "Which came first, the chicken or the egg?". 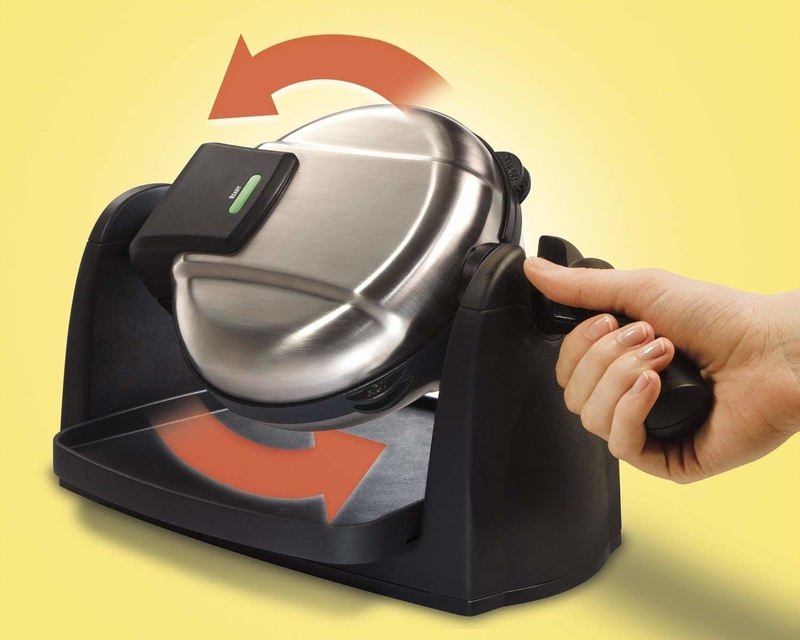 One little machine that can whip up hard-boiled eggs, poached eggs, scrambled eggs and omelettes? Sounds magical! And let me tell you — it is. 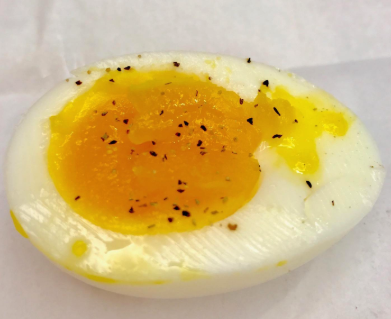 Get one of these egg-cellent appliances ASAP. Read our full review of it here. 11. 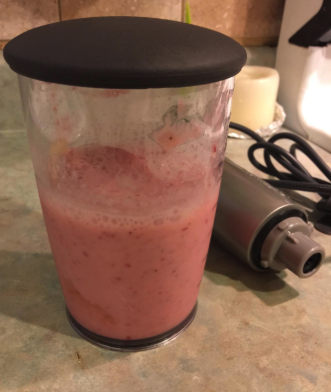 A ~professional~ blender, so you can start your mornings off right with a healthy smoothie or end your nights with a delicious milkshake. 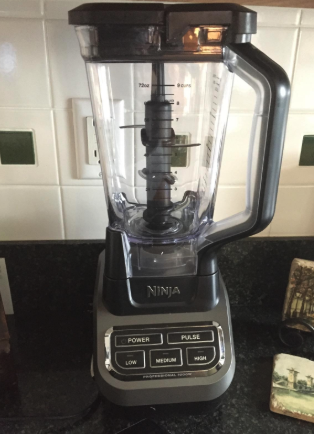 Guys, 2,000 Amazon customers took the time to give this blender a five-star review. This is also our BuzzFeed Reviews pick for the best affordable blender! Promising review: "This thing is a marvel of smart design and high-quality precision manufacturing. They do not lie...fill it with ice cubes, run it, and you get snow! Because it has blades top to bottom this baby kicks out my breakfast smoothie in less than a minute. Everything is good. The pour spout stays open when pouring by magnets or magic, I can tell, but it stays up and never opens when blending. The pitcher locks onto the motor logically and effortlessly. Clean up is easy: warm water and a drop of soap, run on high for a minute and rinse. DONE! It's even really easy to clean the base, sealed and wipeable all around. Bummed I didn't get one of these long ago." —James R.
12. 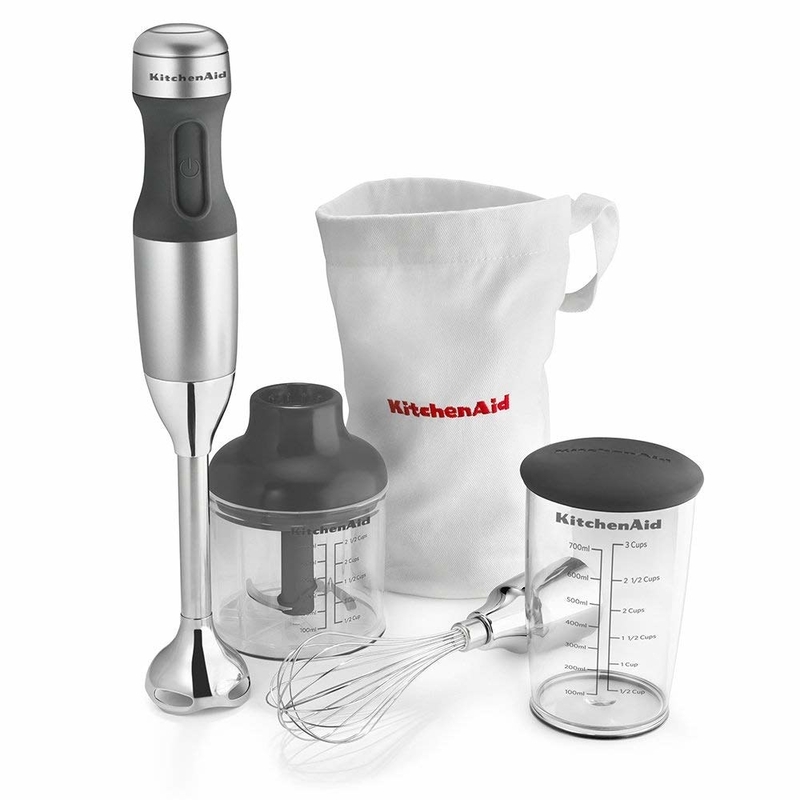 Or a three-speed hand blender that will save you some kitchen space if you only have a smoothie craving once in a while. I actually have this exact hand blender and have used it to make pesto, blend soups, and milkshakes. It's very efficient and obviously much slimmer than a full-sized blender, so it fits neatly into my kitchen cabinets. 13. A standard coffee machine, to keep you caffeinated without frustrating you with over-the-top machinery and confusing instructions. 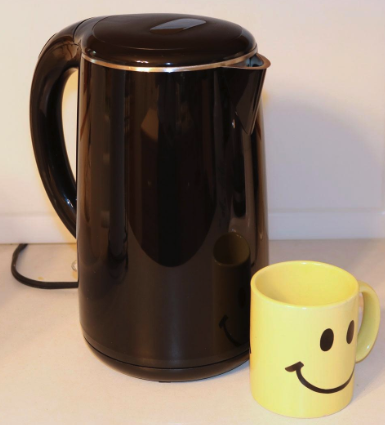 You can use this coffee machine to brew either a single serving or an entire pot, so whether your in-laws are coming over or you're enjoying a quiet morning by yourself you'll be good to go. 14. Or an electric water kettle that will let you whip up a pot of tea in no time and would surely be Queen Elizabeth II–approved. Promising review: "I've been using this product for about a month now. I can't find anything not to like! It's great to be able to pick up a pot of boiling water and have the exterior be cool to the touch. It does NOT drip down the sides; easy pour. No over-spill from spout. 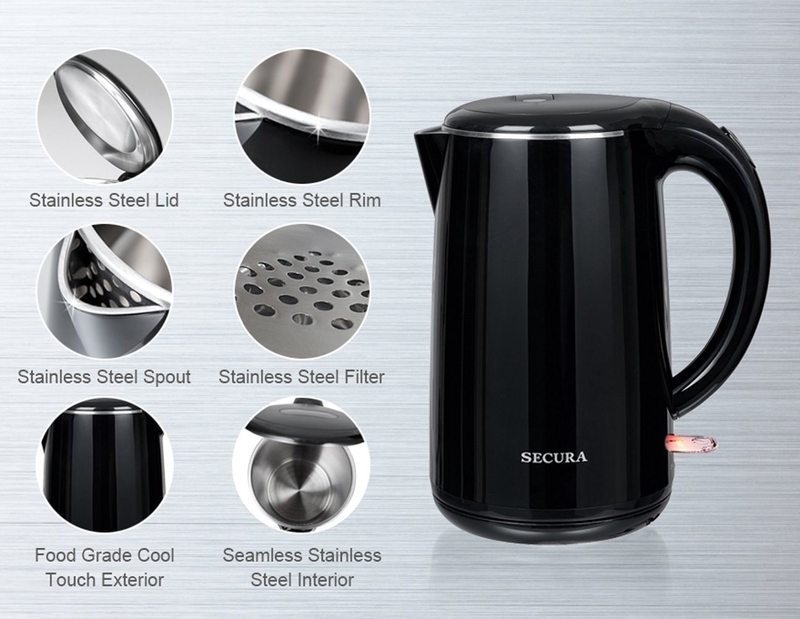 It heats water quickly and efficiently. 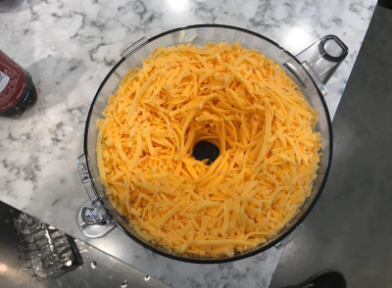 It is easy to fill, either on the counter or at the sink. I would buy this again in an instant! Definitely recommend: Great quality for the price paid." —C.D. 15. 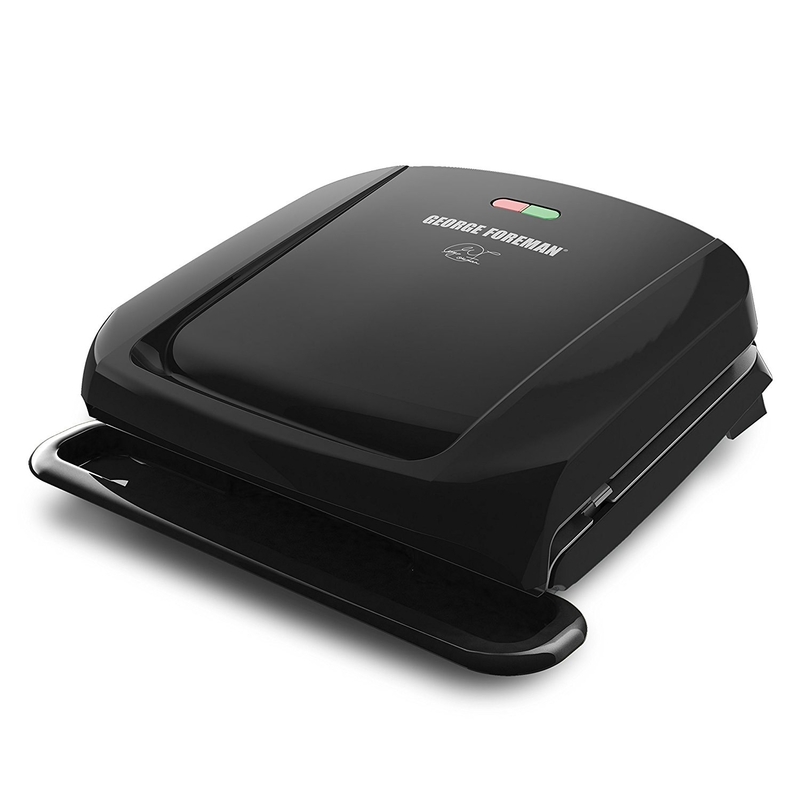 A George Foreman grill, so you can press a perfect panini (say that 10x fast, I dare ya). 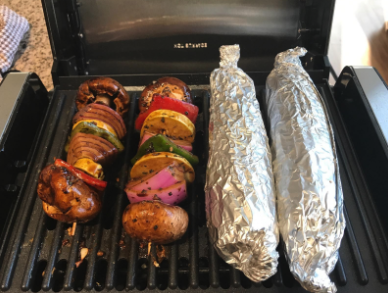 While you can totally use this indoor grill to make some fantastic burgers, grilled chicken, or veggies, it can also whip up some delicious paninis is a snap! Mmm, just think about biting into that warm, pressed bread on a cold winter day. Who even needs restaurants? 16. 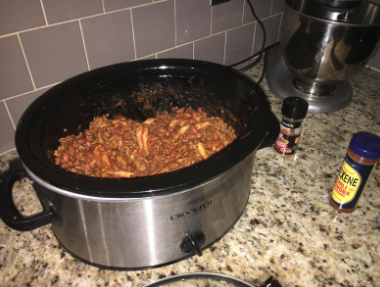 A Crock-Pot, which may haunt your dreams if you watch This Is Us, but will change your life if you're into meal prepping. 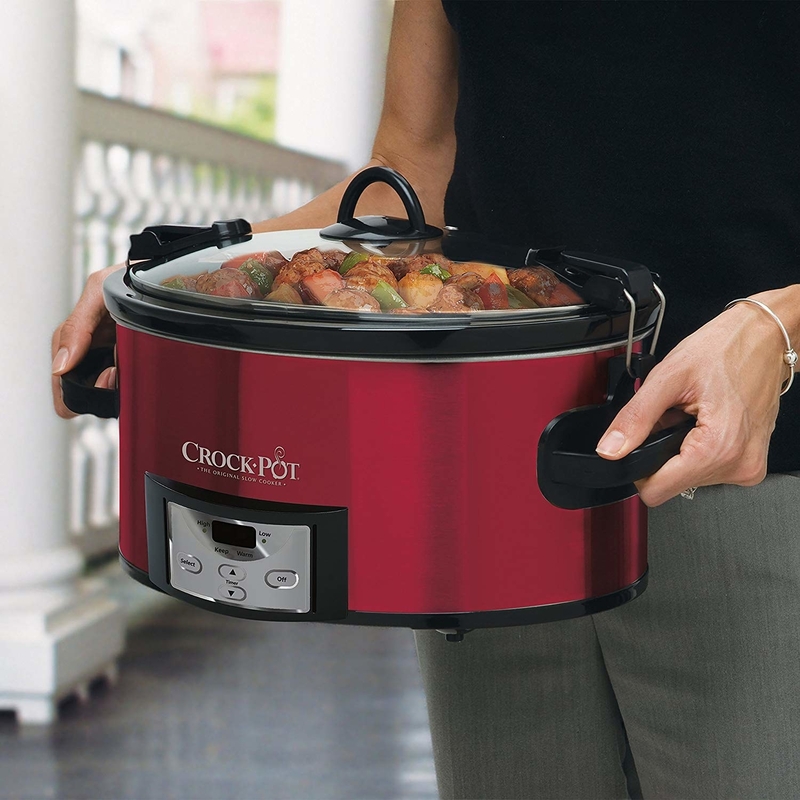 Never, and I mean NEVER, underestimate the power of a good Crock-Pot. This specific one has removable oval stoneware that doubles as a serving dish, and a convenient warm setting (for the family that frequently eats at different times). 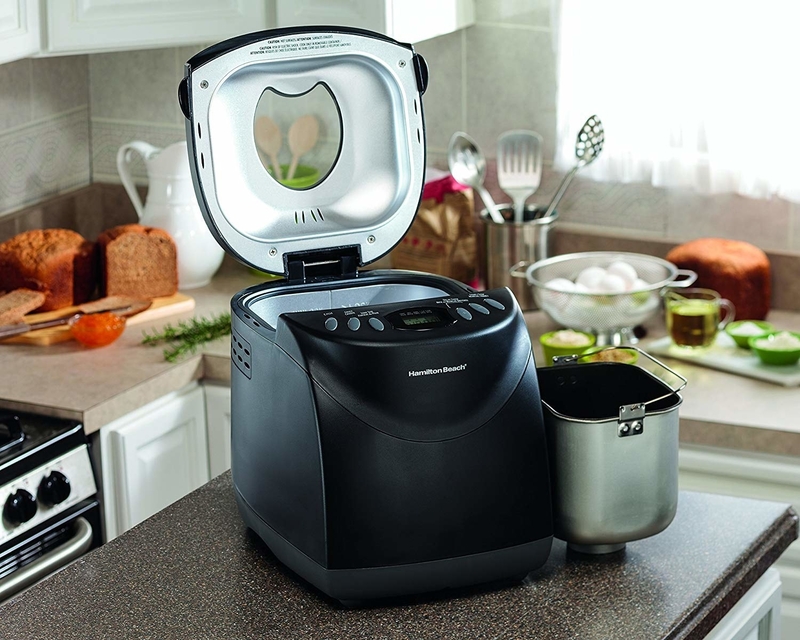 This really is a must-have kitchen appliance — it has over 7.3K five-star reviews on Amazon! Price $18.49+ (available in 3-quart, 4-quart, 6-quart, 6.5-quart, or 7-quart and in four colors). 17. 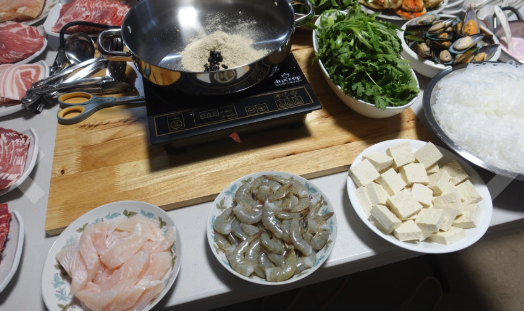 A simple cooktop burner that works as an amazing alternative to using a full stovetop. I can think of so many reasons why you'd need one of these lil' cooktop burners. 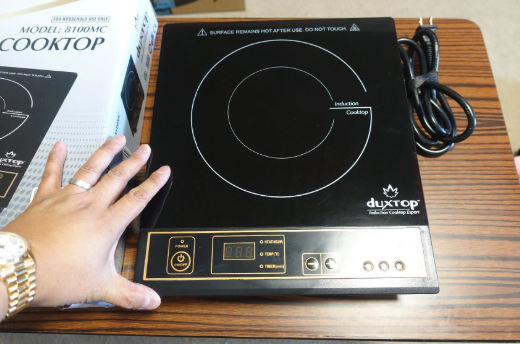 They're great if you live in a tiny apartment that doesn't fit a full stove, excellent if you're having work done on your kitchen but still want to cook a meal at home, or if you need a portable cooktop. The options are endless! 18. A heavy-duty juicer, so you can wash down all of the "bad" decisions you made last year (ahem, all of those late-night trips to Taco Bell) with some homemade ~health~. 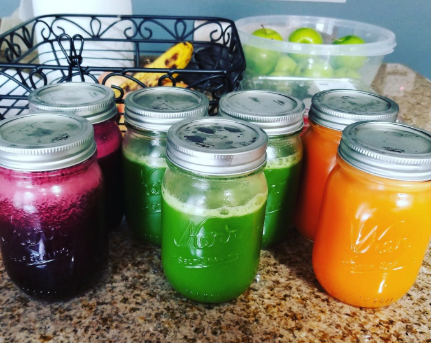 Why spend your money on an extremely overpriced green juice when you can make it yourself at home!? 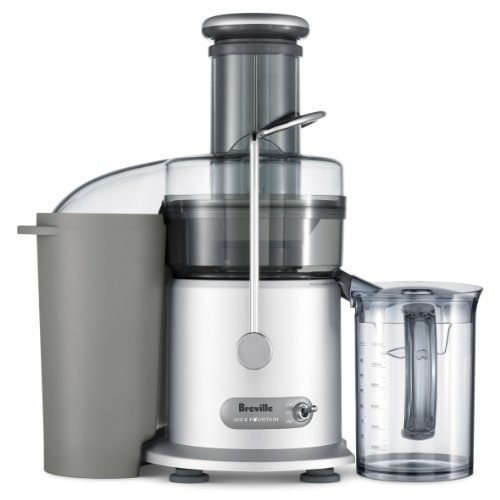 With over 3.6K five-star reviews on Amazon, this specific juicer is a health freak's dream appliance. Find more of our picks for the best juicers on BuzzFeed Reviews. 19. A mug warmer, because even if you're the self-proclaimed "busiest person on the planet" you deserve to have hot coffee. We've all been there — making our coffee or tea only to set it down and forget about until it's cooled down completely. 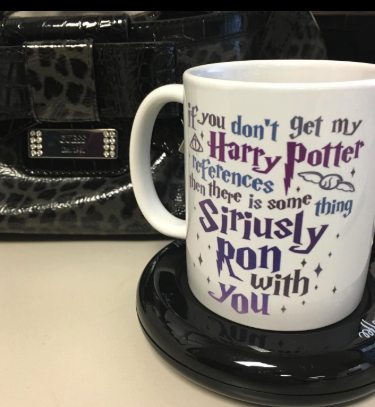 Thanks to this mug warmer none of us ever have to suffer through another cold cup of caffeine again! It has received over 3.8K five-star reviews on Amazon, so you know it's a big freakin' deal. 20. 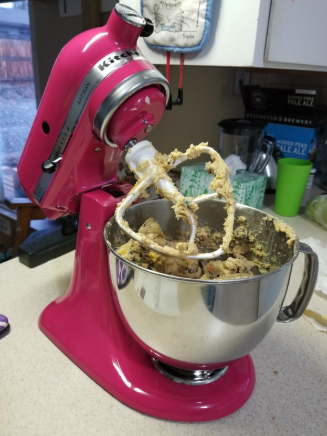 A KitchenAid hand mixer, because (DON'T TELL ANYONE) you don't actually need the granddaddy of stand mixers to make your favorite chocolate chip cookie recipe. Some of us (sadly) don't have the counter space for a full-sized KitchenAid mixer... yet. 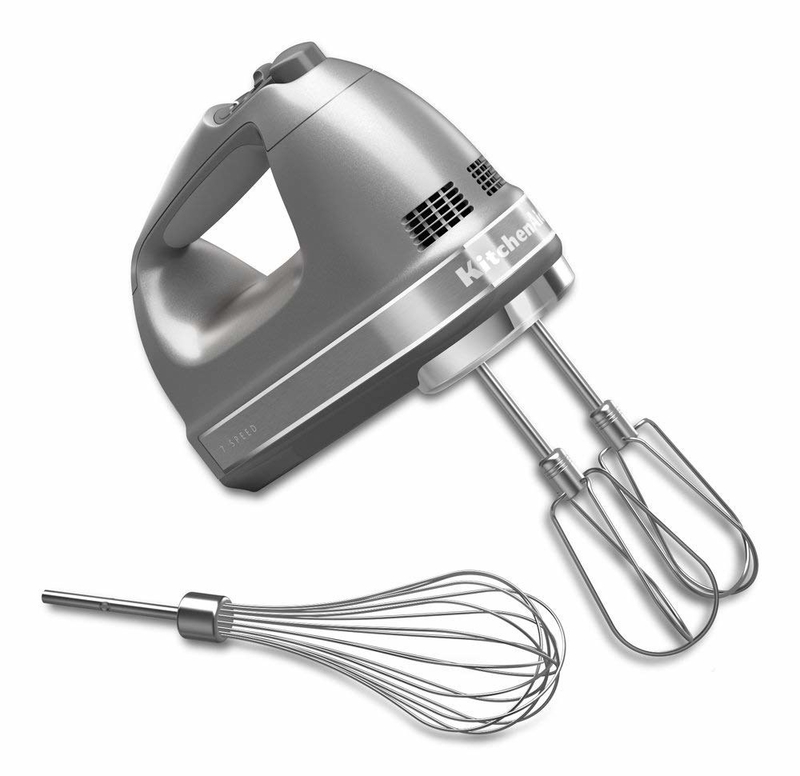 So, until that magical day comes we can still whip up delicious recipes using this fabulous seven-speed hand mixer. 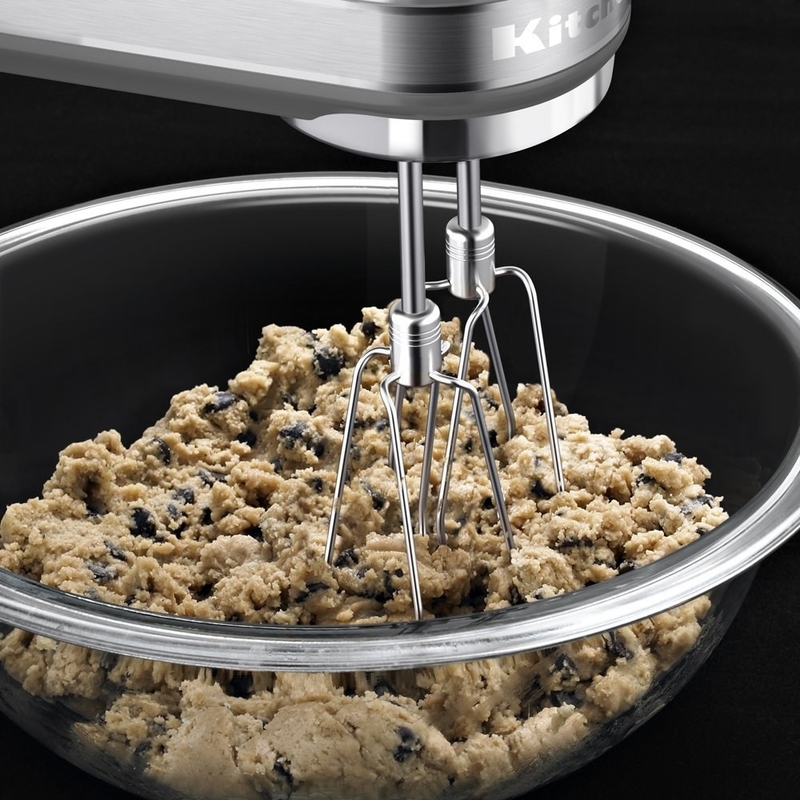 This is also our BuzzFeed Reviews pick for best midpriced hand mixer! Price: $47.32+ (available in five colors). 21. A KitchenAid Stand Mixer, aka the holy grail of appliances. Need I say more? 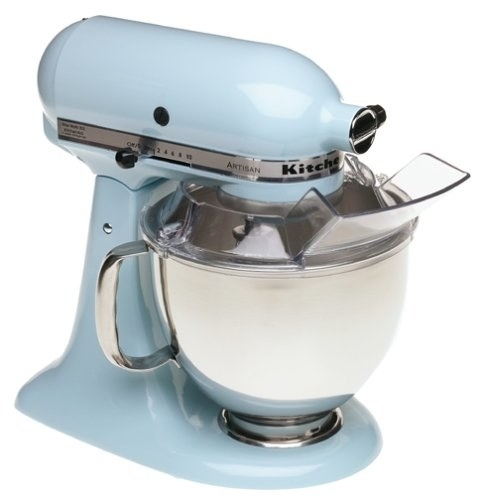 If I had to guess, I would say the KitchenAid stand mixer is the number one most-asked-for item on a wedding registry. This is the big-ticket item — and a standout one that screams "ADULT!" While it does cost a pretty penny, it is so worth it. With over 7.5K five-star reviews on Amazon, this item pretty much speaks for itself. It comes in so many colors, you can decorate your whole kitchen around it — and don't get me started on the features! 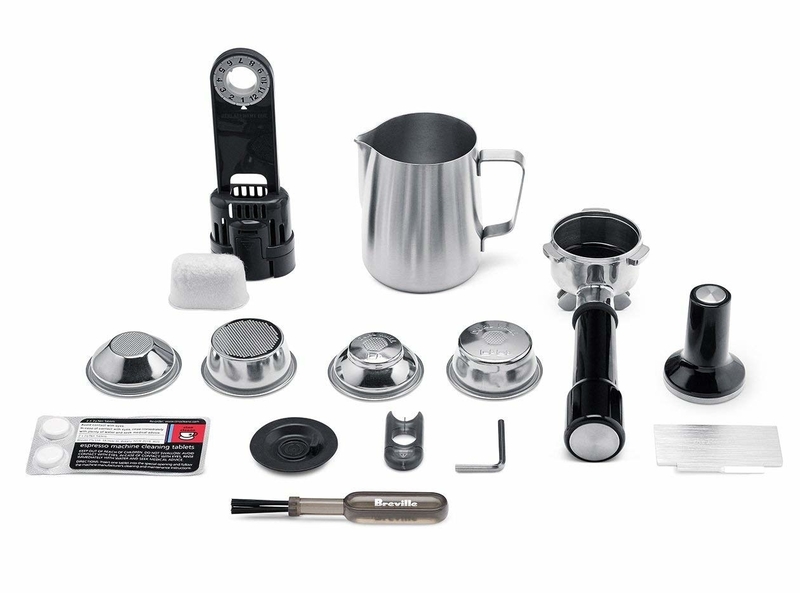 It has 10 optimized speeds that can take any on recipe you throw at it, has a tilt-head design for easy cleaning, and comes with four attachments. 22. An electric can opener, because you shouldn't have to rely on ANYONE to help you open your soup. "Can openers are haaaard," she said in a whiney voice. No one wants to fumble with outdated gadgets anymore, right? RIGHT. Treat yourself to this lovely electric can opener and make your life easier. You deserve it! 23. 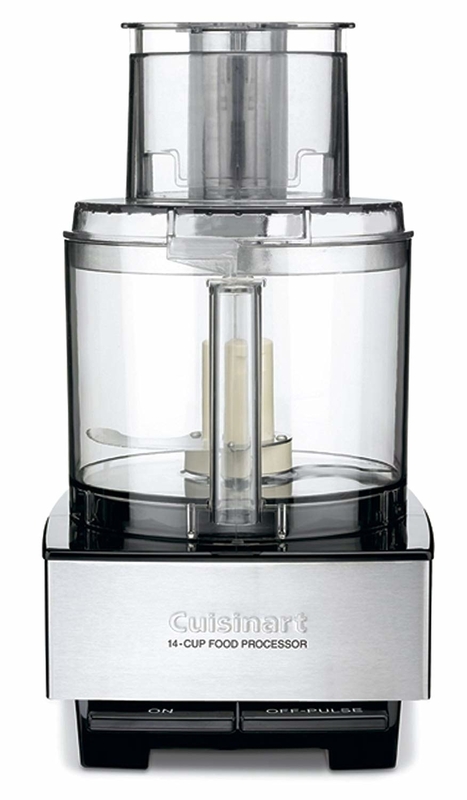 A 14-cup food processor that will bring any stress you've had over a difficult recipe to a grinding halt. Over the weekend I tried a new recipe that called for making a pesto sauce out of spinach and basil. 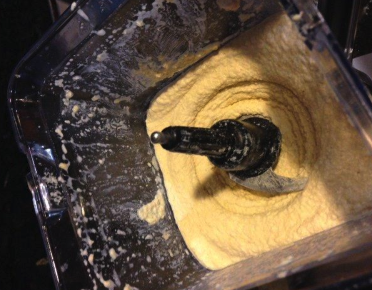 Easy enough — if you have a food processor! I did not, and BOY was it a hassle. Learn from my mistakes, invest in this lovely item. 24. A bread maker, because I promise you there is NOTHING better than filling your home with the decadent scent of freshly baked bread. 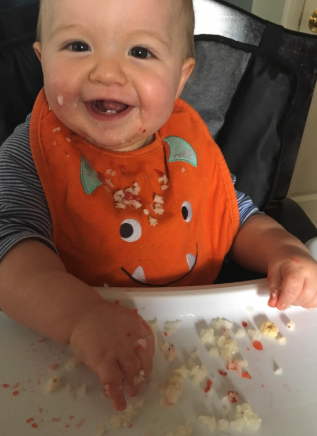 CARBS FOR ALL! 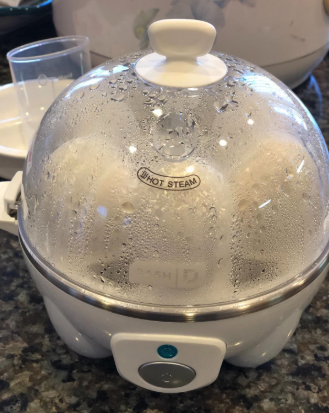 Not only will the smell that radiates from this machine have your mouth watering, but you'll be able to save dollars by baking your own bread each week. There's also a gluten-free baking option! What DOESN'T sound good about this? 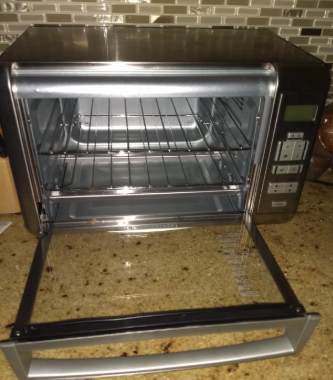 Promising review: "This is the appliance I never knew I needed! I am blown away. 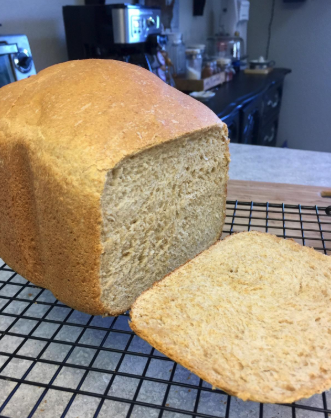 I have been baking most of my husband's bread for several years. He has celiac disease and must have a gluten-free diet. This bread maker has a gluten-free setting, which works awesome. I've made loaf after loaf and they've all come out great! And it's so easy. I just have to dump my ingredients in and walk away. It's never been so easy. And I've discovered it does other things I had no idea a bread maker could do! I have made several batches of jam in it and they all come out great. This poor machine has run for days straight now making one thing after another as I tested it out. I wasn't sure I was going to keep it at first because I didn't think I needed another appliance — I tried it on a whim. I'm so glad I did. It has really made my life much easier!" —Laura A. 25. And an espresso machine that will assist you in making the hipster lattes of your dreams (without having to get out of your pajamas!). 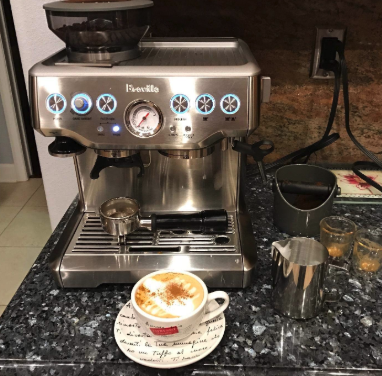 While, yes, the initial spend on this machine is pricey, just think of all the dollars you'll save by not hitting up your local coffee shop or Starbucks every day!